3W 850nm leds working voltage? Re: 3W 850nm leds working voltage? It looks like 1.4 amps. But i'm not sure I made the right measurements. I'm not sure you have wired it correctly, it could be that only one of the LED's is actually burning, if the arrows are pointing to where you connect the positive wires, then at least one of them seems wired the wrong way around. this picture shows how to connect power to the two modules. Best use an EXTERNAL 3.3Volt power supply, using the internal 3.3V of the PI might result in either very dim LED's or overloading of the 3.3V supply. Using an external supply you can turn up the brightness without endangering your PI. Perhaps its also possible to feed these LED's 5V, but then they might get very hot, and also the transistors that limit the current might, to the point they burn up, as they would dissipate at least as much power as the LED's do..
Hello, actually I tied you in the way you said. I did not mark the picture because the other ends were in the back. but i connect to wires 3.3v and gnd both of them. Thanks. I think you need to learn how to use a multimeter before you damage something. It looks like you have effectively short circuited the 3.3V supply. if you only want to know, if both IR LED's are working, simply use the smart-/mobile-/cell- phones camera, and watch the LEDs when they are powered up. many/(most?)/(all?) cameras on a (cheap?) smart-/mobile-/cell- phone are sensitive enough to IR to see if IR LEDs are working or not. i always check my TVs and others IR remotecontrol like this, to see if the RC is working or not. if you do not have a smart-/mobile-/cell- phone with a camera, use your IR camera + 2x IR LED + RPi construction and a mirror - and take a picture of itself. then you can see if both IR LEDs are working. PS. : the night photo shown some posts ealier, what is wrong with it? what do you expect how bright it shold be? Because these IR LEDs demand a lot of current, I want to supply them with different power supply. Can I disconnect them from the camera and supply them or they need to be attached to the camera module for some reason that I miss right know? I have a bunch of these LEDs. I use them to give some surveillance cameras night vision. They are 1W, pulling about 350 mA when going full tilt. 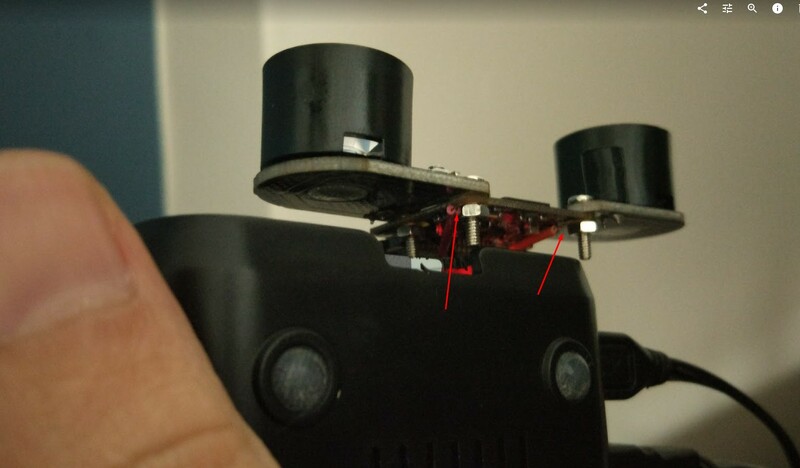 The potentiometer does not adjust the brightness, it is used to adjust the sensitivity of the light sensor (how dark it should be for the LED to turn on). The light sensor circuit adjusts the current to the LED quite slowly, it takes a couple of minutes in complete darkness to reach full brightness. They can get real hot, I have killed a couple by being sloppy with the mounting - in small cases without airflow.